Continuing on in the tradition of Martin Luther King Jr., youth at peace camp dedicated themselves to the nonviolent pursuit of peace and justice. 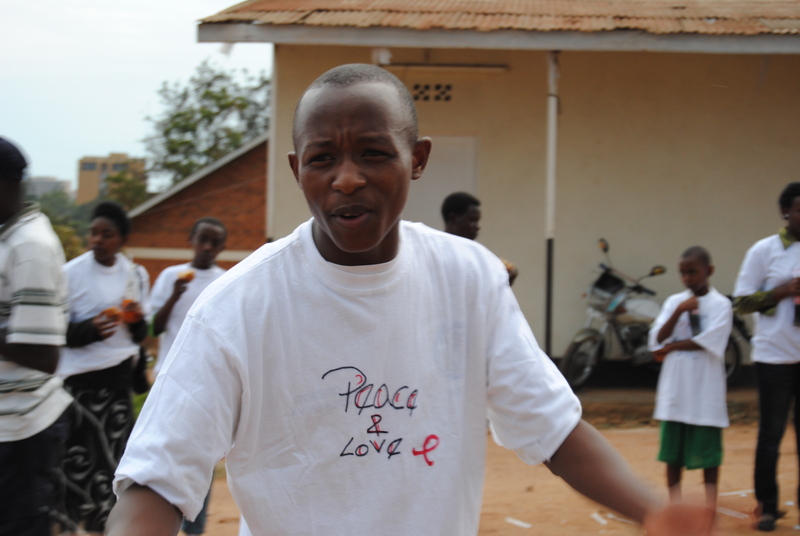 Pictured: Gerard, one of the 48 youth peace camp participants, delivers his dream, a poem about sustainable peace, as part of our World AIDS Day youth event, held shortly after the camp. “Now is the time to lift our nation from the quicksands of racial injustice to the solid rock of brotherhood,” noted Martin Luther King Jr. some 48 years ago in his now infamous speech, I Have a Dream. His words set a revolution in motion, from America to around the world, a nonviolent war against racism, and any other injustice that destroys dignity, that divides and exploits. The dream – and the fight – for peace, love and unity continues. 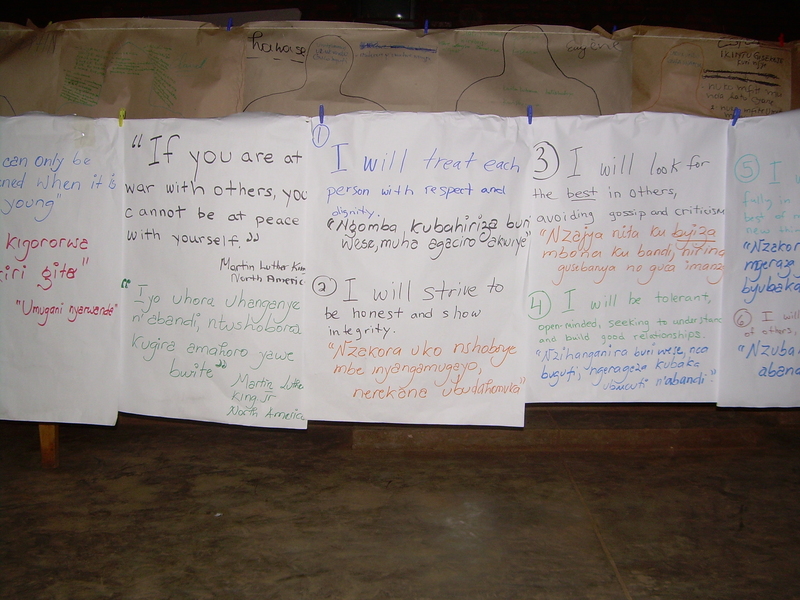 Youth at peace camp reflected on the sayings and legacy of King and other heroes like Ghandi and Mandela, all of whom advocated the use of nonviolence to restore broken communities. Some youth even created their own response. Watch Gerard’s performance and others. Youth discussed solutions and then worked on dramas to be able to help open up more dialogue on these and other pressing issues. 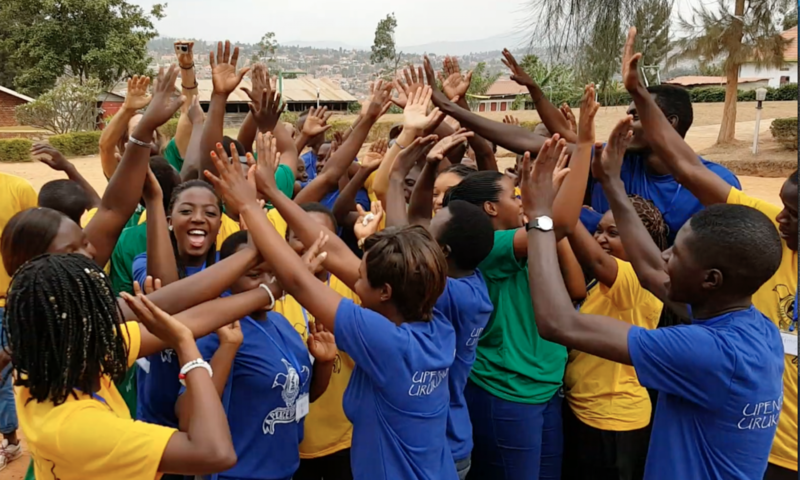 They also learned about the power of film and worked on scripts, one of which is currently in the works, to be made into a short film by Almond Tree Films Rwanda. See more photos and actvities from peace camp. may God help us to achieve this noble commitment. That takes the highest, self-sacrificing kind of love, agape love, the love of God, at work in people’s hearts, noted King. He died for his beliefs. Share the dream. 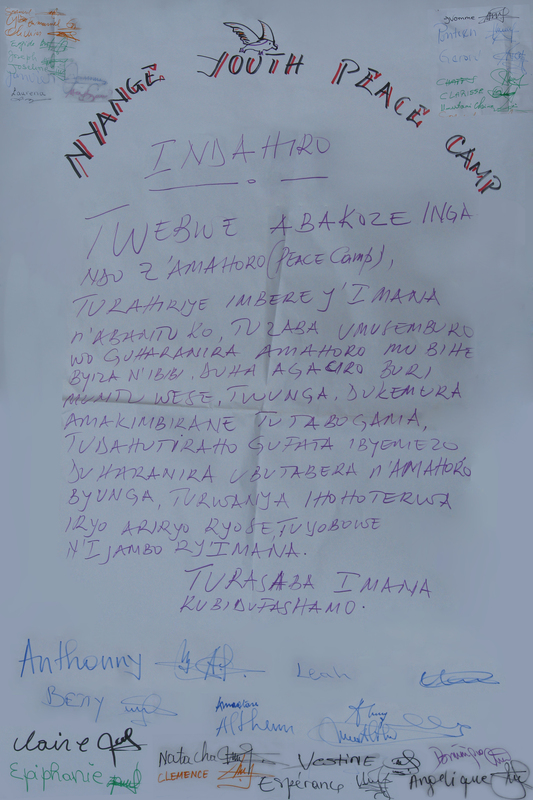 Help provide more peace-building activities for youth in Rwanda. Learn more. *For these quotes and more on the legacy of Martin Luther King Jr. see, I Have a Dream: Writings and Speeches that Changed the World. I love your passion Laurena.